This year started off tough. They say things come in threes and 2014 had one more gut punch in store for the McCart family before she sashayed her way off the stage. First act, a miscarriage. We don’t talk a lot about this. They are more common than anyone realizes, but it doesn’t make the loss any easier. We grieve, trust God and carry on. We’ll meet you one day little one. We love you. Second act, job loss. Well, to put it plainly…I was fired. There wasn’t any major issue. I just didn’t work in the system anymore. It was great for a while, but the organization changed and there wasn’t a seat on the bus for me. With that difficult circumstance God’s sovereign plan became clear. We planted Grace Collective Church and it has been a wonderfully exciting experience. He has surrounded us with the most amazing people. Sadly, the third of the three acts came today. Our eleven year old beagle Baleigh died today. She was a great dog. The sweetest, quietest beagle I’ve ever heard of. Goodbye old girl. It’s Sunday, December 7, 2014. This morning my house is a bustle with children playing and decorating our Christmas tree. In just a few hours we’ll all be setting up for church. 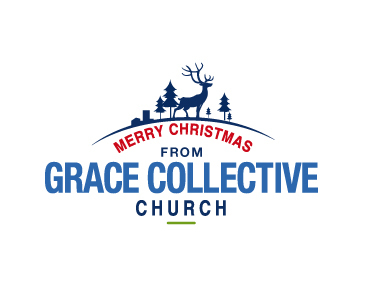 Today marks the beginning of the Christmas season for Grace Collective Church. Our almost four month old church is gathering for worship in the early evening for the next three weeks. I’ve spent the morning studying my sermon notes, quadruple checking all the technical preparations and packing my Ford Explorer to the brim with all the bins of “church stuff.” Now here I sit thinking. My heart and mind are flooded with the thoughts of each family and person that has begun attending GCC. I’ve been in a “pastoral” role for almost twenty years. This year however, I’m “the” pastor. Each day seems to bring a new insight or fear as I grow into my new title. I pray for people in a different way now. I worry about them late at night. I wonder if they know how much I care about them, their health, their happiness, their families and their walk with God. I worry that I’m not strong enough, smart enough, compassionate enough or kind enough to lead them well. Will Grace Collective Church do that for this family of faith? Will God choose to bless the work of our hands? Will my decisions help guide people to a greater understanding of Christ and all He’s done for them? Will anyone even show up for service? This is most assuredly a Christmas of firsts. I pray that years from now I will look back with a great appreciation and thankfulness for what God has done from our humble beginnings. For now I’ll simply choose to trust that God has ordained all of this and enjoy the ride as long as it lasts. Merry Christmas Grace Collective Church. To be your pastor is one of the greatest blessings of my life.